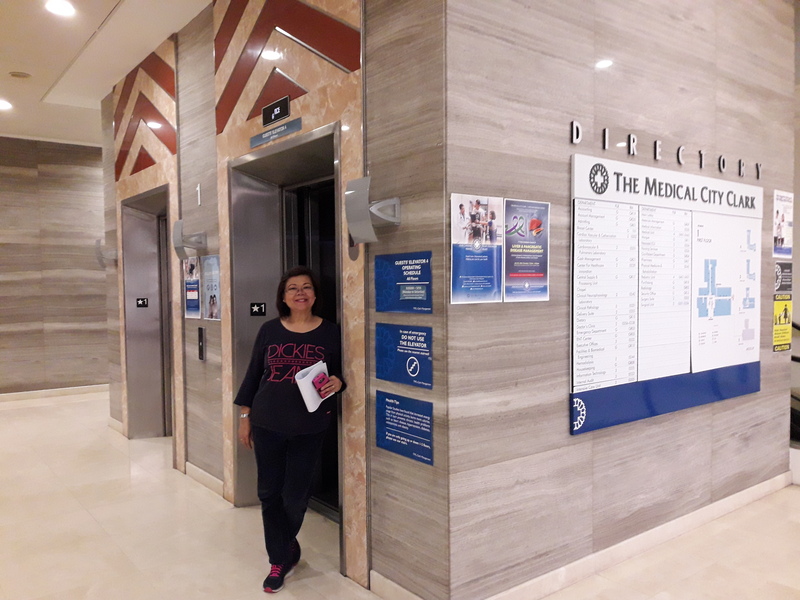 If it weren’t for my dad’s fracture in his femur, I wouldn’t have known about this hospital. 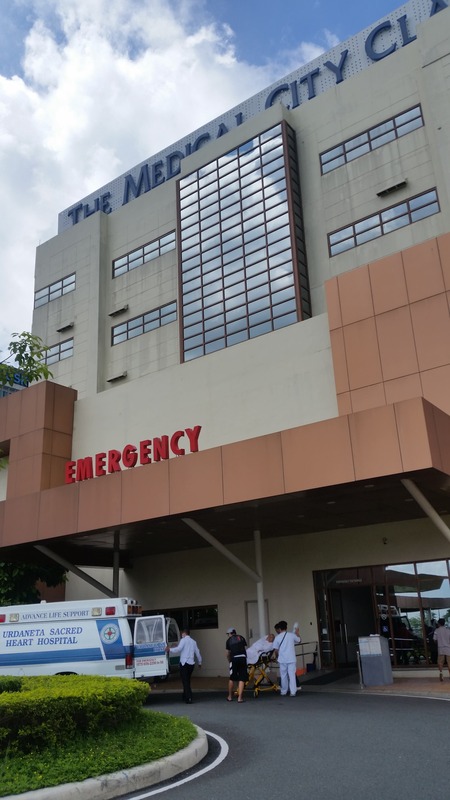 The local hospital here in Urdaneta doesn’t have an MRI and we were told of two places that have it – the TMC in Clark, Pampanga and in Dagupan, Pangasinan. We wanted the earliest one that was available and that was Clark. The travel time there by car from Urdaneta is about an hour and a half thru TPLEX. The TMCC is quite new. 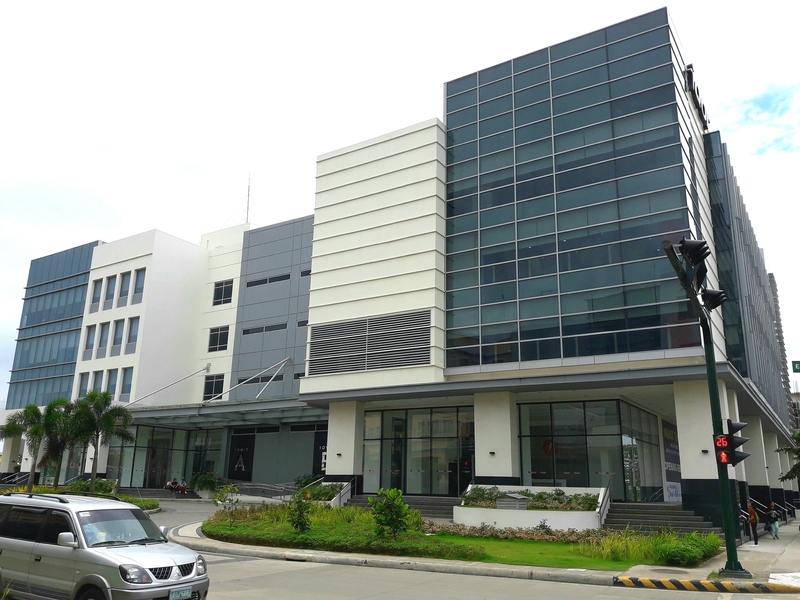 It was built sometime in 2013 with state-of-the-art facilities. SM City Clark is just a few minutes away (about 4 km) and they offer a free shuttle bus to and from the mall every half hour daily. 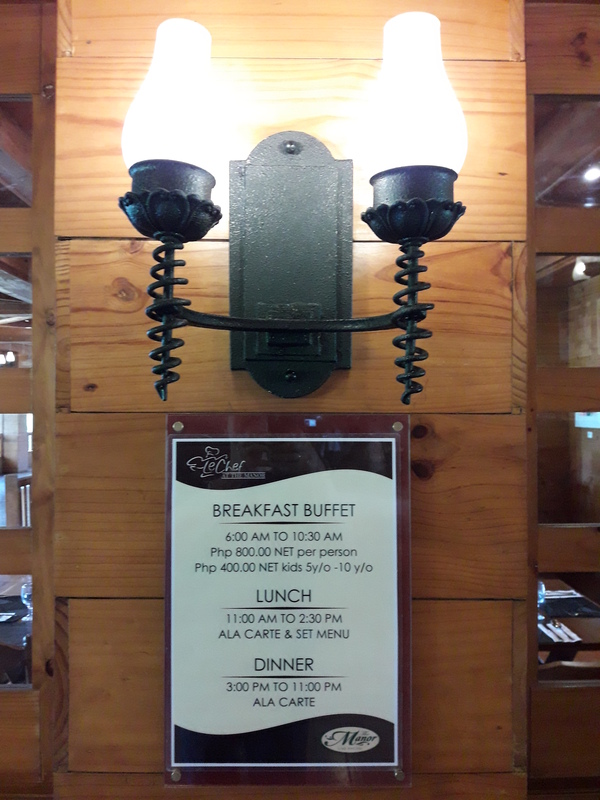 The room rates are relatively affordable at P2,800 (De Luxe) a night. You get 3 meals a day, housekeeping and 24/7 excellent service from the caring staff of TMCC. 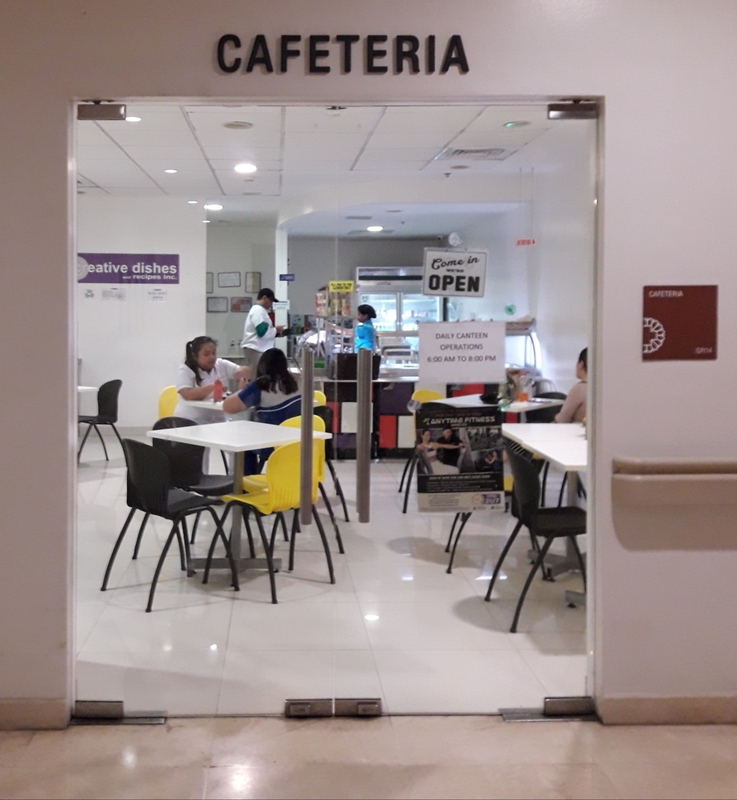 Patient’s family who are visiting can grab a meal from their cafeteria or drop a coin in their vending machine for a cold drink. If you prefer a fastfood meal, you can take the free shuttle ride to SM City Clark. Their website at http://www.themedicalcity.com/newsroom/news/the-medical-city-hostel-close-to-loved-ones also mentions about a 23-room hostel located at the 9th floor of the Nursing Tower. 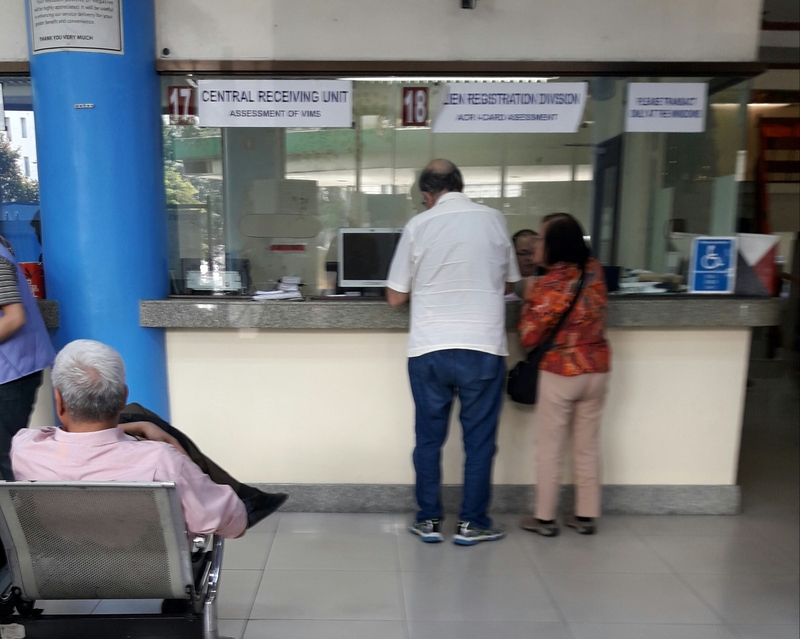 As a PhilHealth-accredited institution, it also provides inpatient and outpatient benefits to member foreign nationals and their qualified dependents, as well. Visit this link for more information – https://www.philhealth.gov.ph/news/2017/expands_coverage.html. Since we arrived here in the Philippines, I have heard about The Manor in Baguio City at least three times in separate occasions. 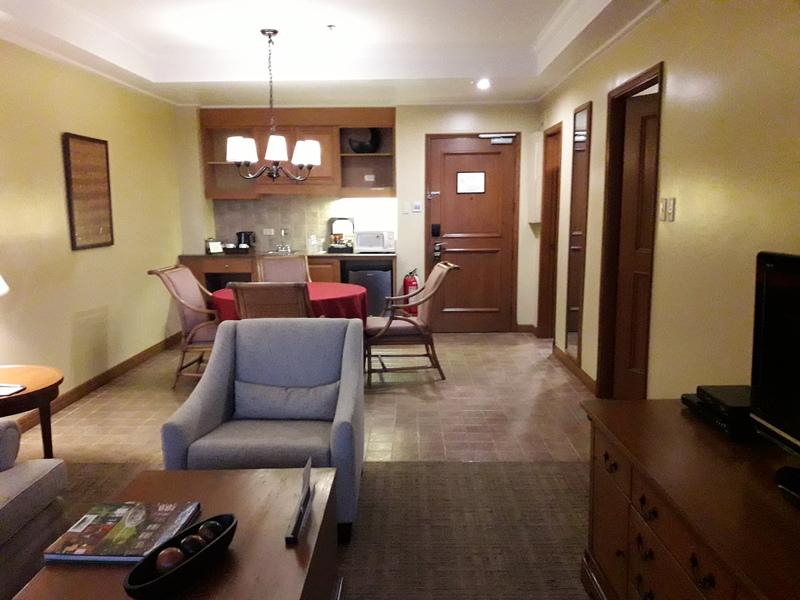 When a time came to celebrate a special moment, I went online and booked a room from their website at https://campjohnhay.ph/accommodation.php. Their price already includes the taxes. I found it cheaper going directly rather than using any of the online travel booking sites due to their added service charge and fees. 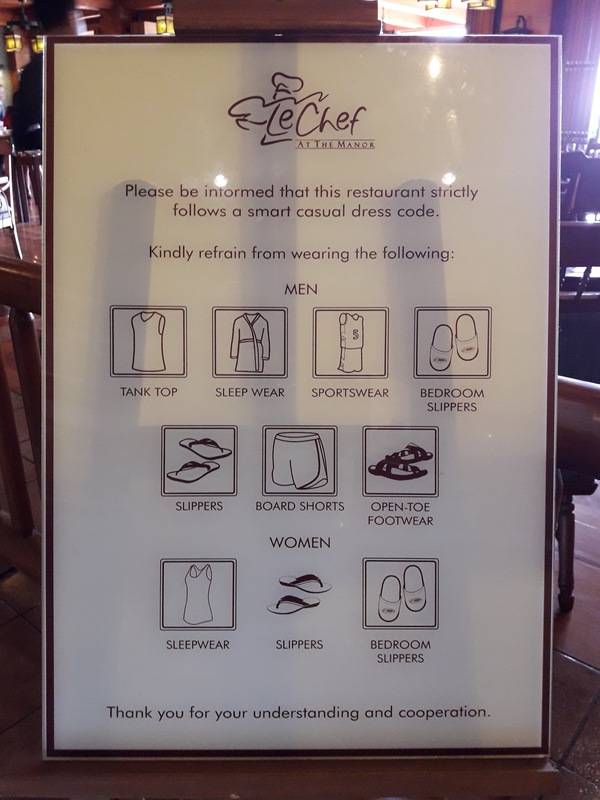 To give us an idea of what to expect from their famous Le Chef restaurant, we searched for their menu and found it here – http://www.munchpunch.com/le-chef-the-manor/menu. 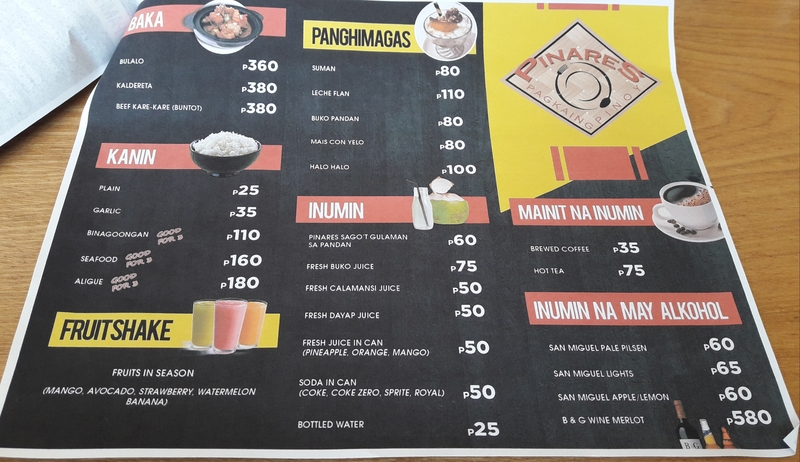 We found out later that the prices have increased and the Filipino Specialties are no longer available. Their suite room was like a whole house. It has a living area with a veranda, dining, kitchen and its own bathroom. The master bedroom comes with a vanity, closet and a bathroom. There was no A/C unit but they have ceiling fans and screened doors and windows. The view at the veranda was so serene – it’s overlooking the well-manicured garden with the pines and the mountains in the backdrop. Dining at Le Chef restaurant was impressive. It has a main room and about three extra rooms. There is also a covered area by the garden next to it if you like the feel of an outdoor dining. Service is great – they pull the chair for you and put on the napkin on your lap. The food was served quickly and there were a lot of servers standing by to cater to your needs. 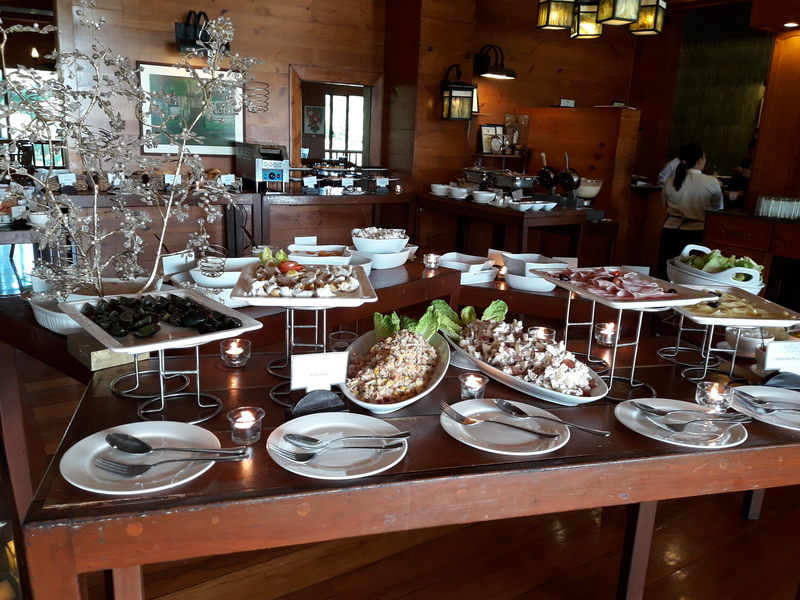 Breakfast buffet was delightful with all the different varieties and volume of food available to satisfy your taste and appetite. 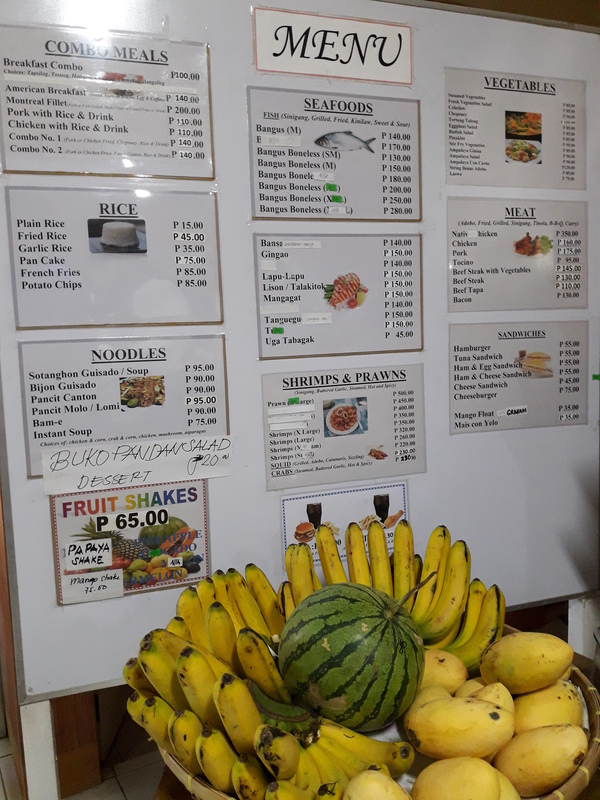 They have meat, seafood, eggs (regular, red and black – century egg), cereals, pancakes, pastries and fruits. After checking out, the helpful concierge by the entrance called a taxi for us. Wow, that’s what I call initiative! From check-in to check-out, we had enjoyed our five-star experience at The Manor Hotel. 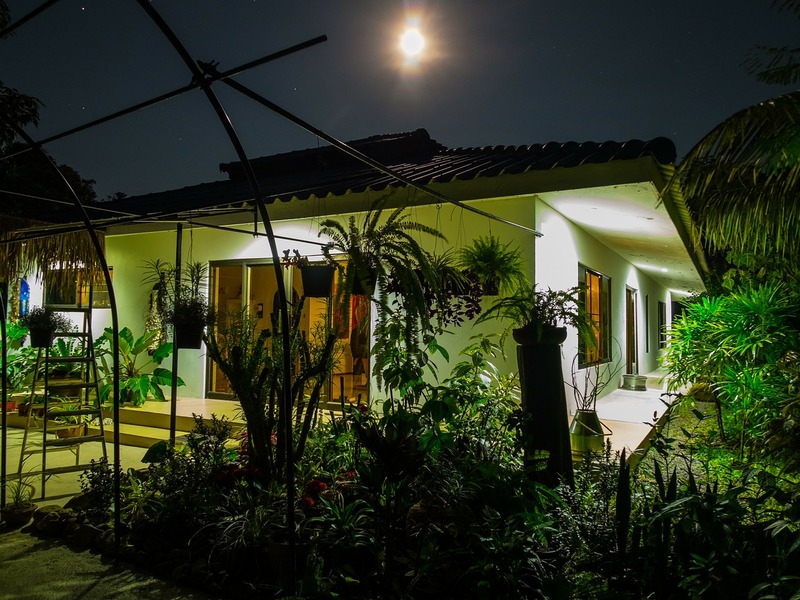 While we spend much time looking for a safe hotel to stay in when planning for a trip, we also need to take time to keep our home safe when we leave. 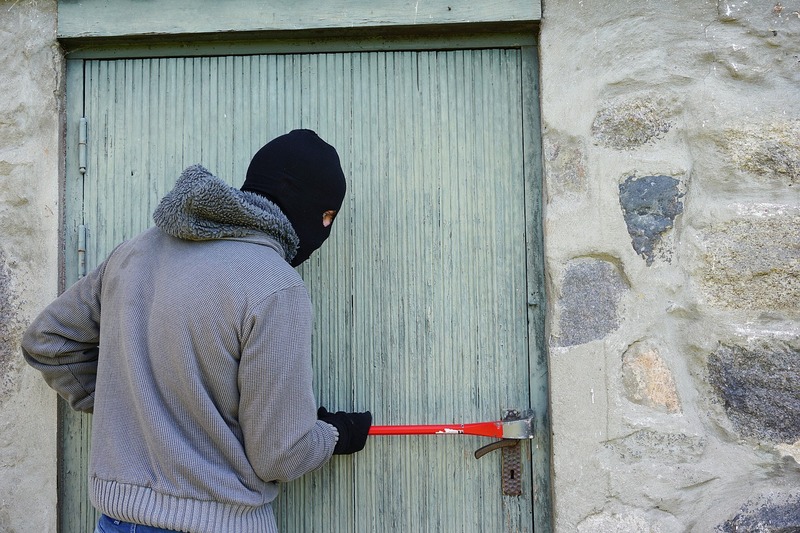 There are certain criteria that thieves look for in targeting a house. 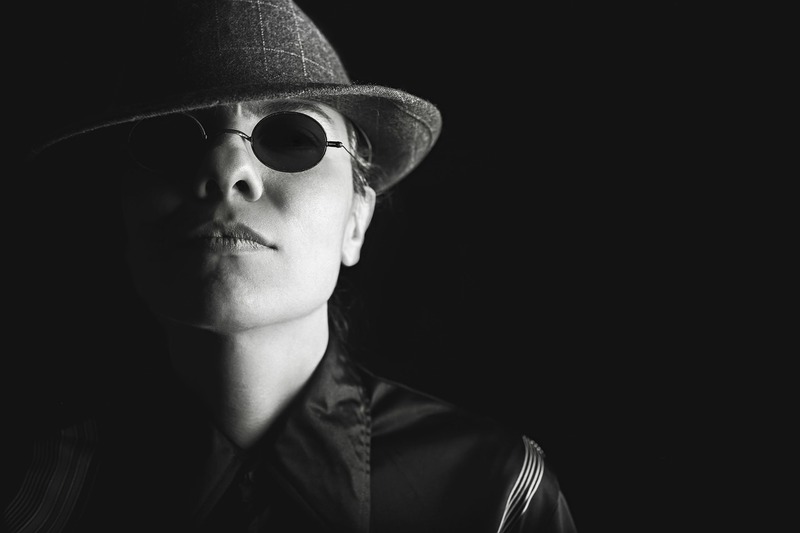 The goal is to avoid these, making your chances of not being in their “hit list” much better. 1. 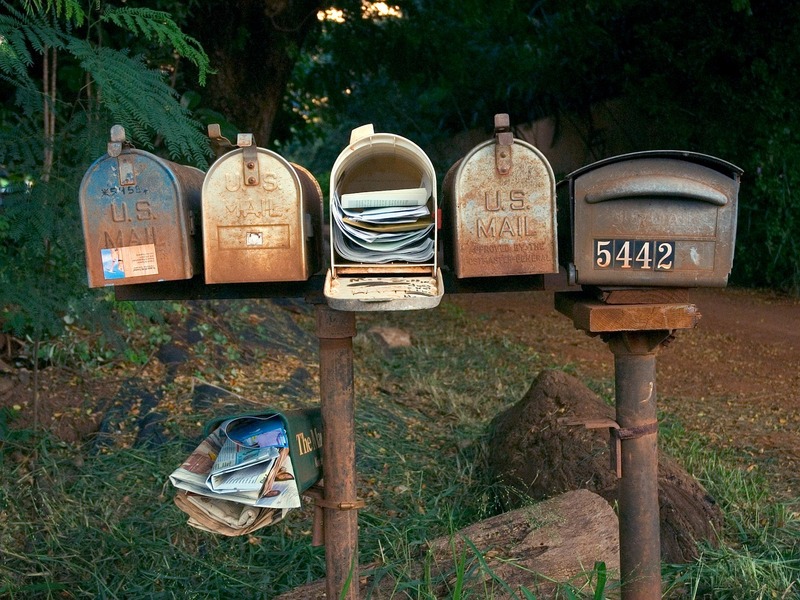 Keep mails/newspapers from sight. Have someone pick them up regularly. 2. Keep some lights on. Just a light in an upper room window can signal the presence of someone. 3. During the holidays, keep presents out of sight. Don’t give thieves a reason to “shop” in your house. 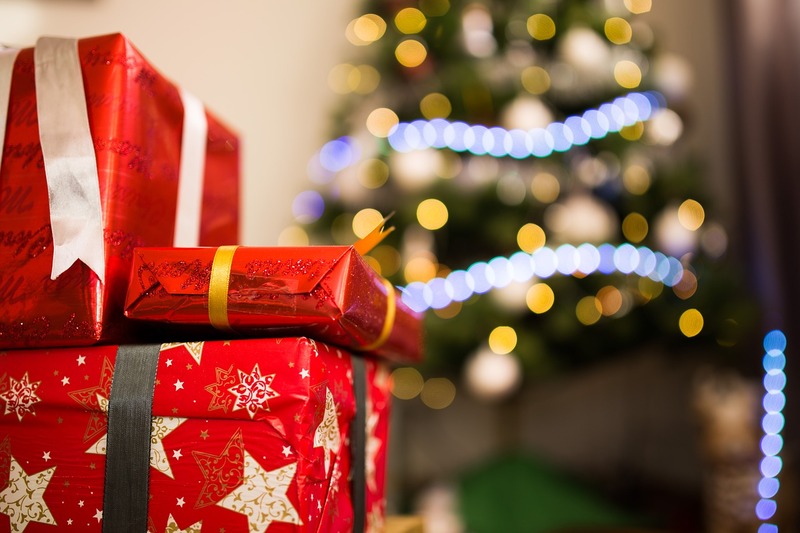 After the holidays, keep boxes of presents out of sight. You don’t want to let thieves know that you got the latest and greatest in electronics for Christmas. 1. Add lighting. 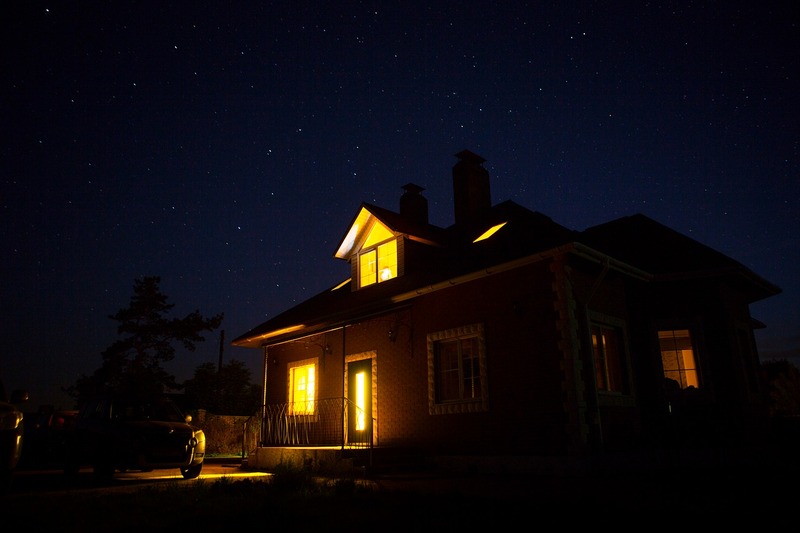 Light up any dark spots in your yard. 2. Trim bushes/trees. Keep bushes low enough so no one can hide behind it. Keep tree branches trimmed to keep it as far away from your house as much as possible so it can’t be used to access your upper rooms or roof. 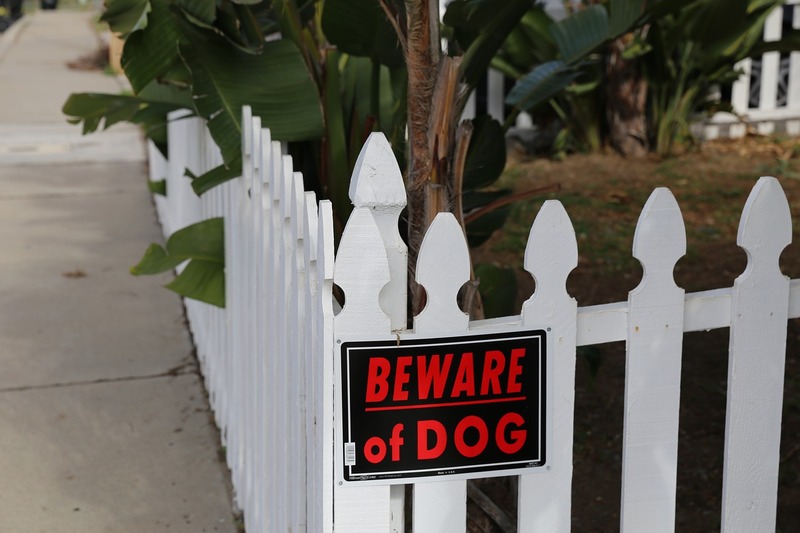 Keep gates locked and put a “Beware of dogs” sign to add a bit of fear factor. If, for whatever reason, they still would like to try your house, make it difficult for them to break in. Hopefully, they’ll get frustrated and leave. 1. Use deadbolts. Make sure the area of the lock and door jamb that it’s bolted in is reinforced (such as Door Armor MAX from Armor Concepts) and will not easily break when pried with a crow bar or kicked in. Of course, the door must be solid so it will not break into pieces when forced open. 2. Use sliding door and sliding window security bars for additional protection from forced entry. A piece of 2×2 lumber from your local hardware or an adjustable one from an online store will keep sliding doors/windows fixed on its track. Next time, we’ll look into how you can make your home smart as an additional option to keeping your home safe and give you a peace of mind while away. 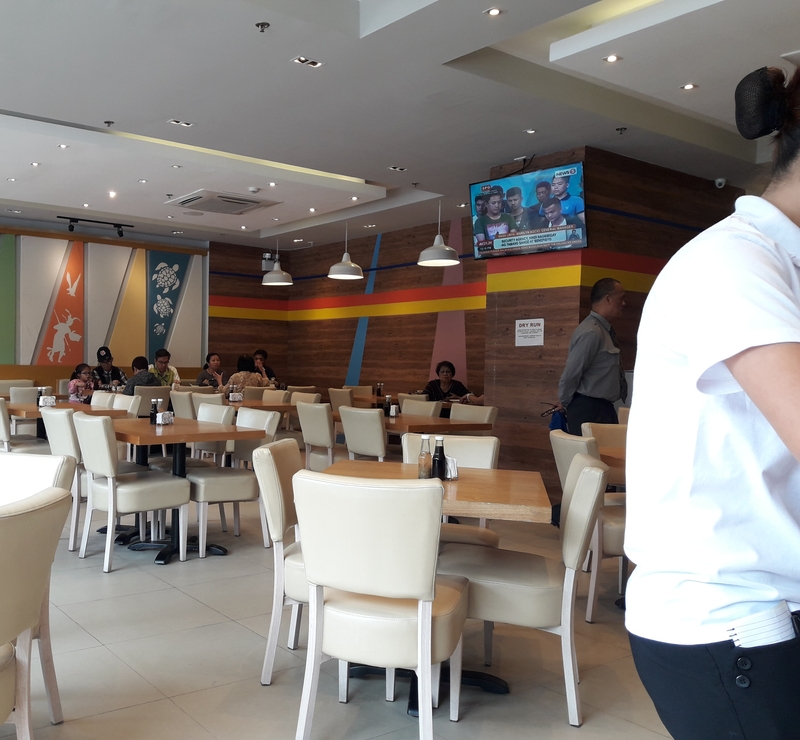 New Korean restaurant in Urdaneta City, Pangasinan. The only Korean restaurant in the city! It’s been a while since we have eaten Kalbi and Bulgogi. 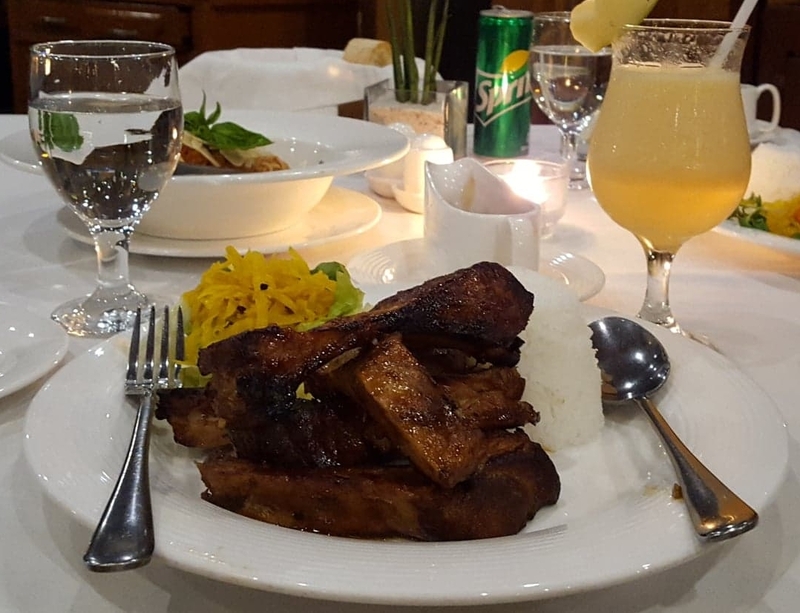 Although they didn’t have them, their pork ribs were close enough. Their main dishes, which you can choose from three choices, come with the typical Korean side dishes. By the way the noodles are so good, you’ll keep on asking for more. They offer an unlimited or all-you-can-eat serving but they’ll charge you extra for leftovers. 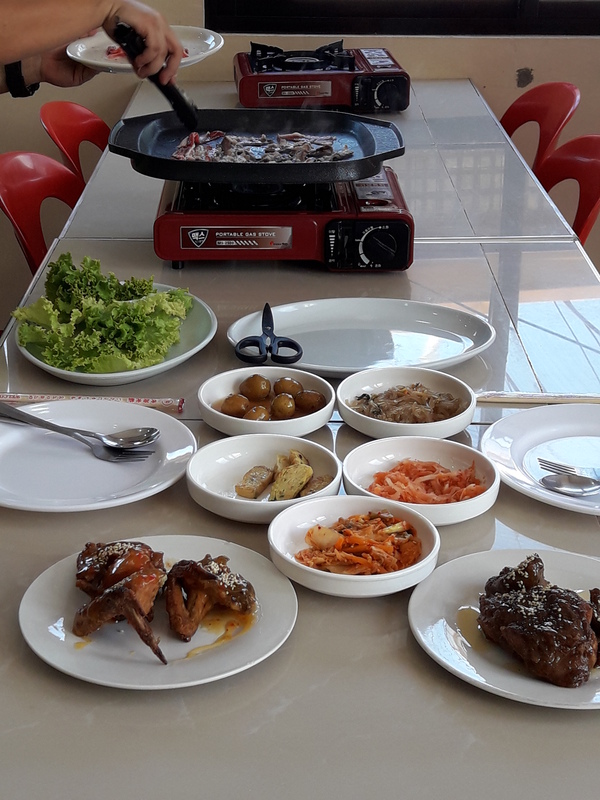 You cook your own food on a stove-top griddle that is on every table which is great so you can control the tenderness of the meat and its fat content. 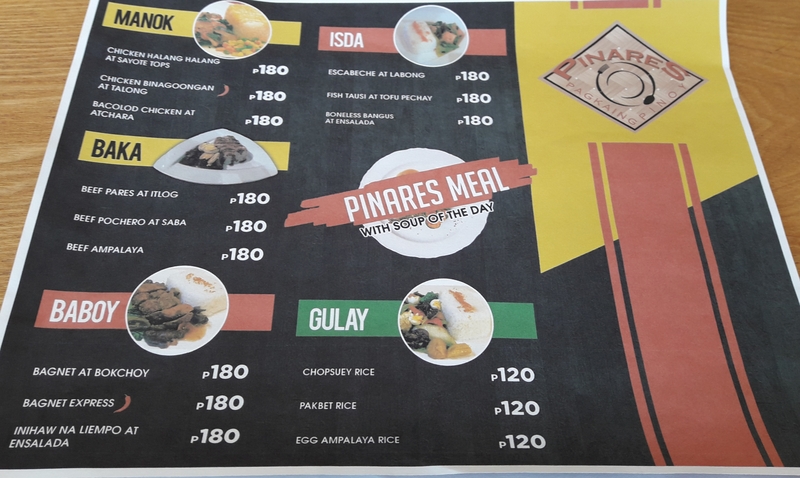 Main dish comes with side dishes. The price is P299 and up depending on your order. And each comes with a pitcher of ice cold tea. 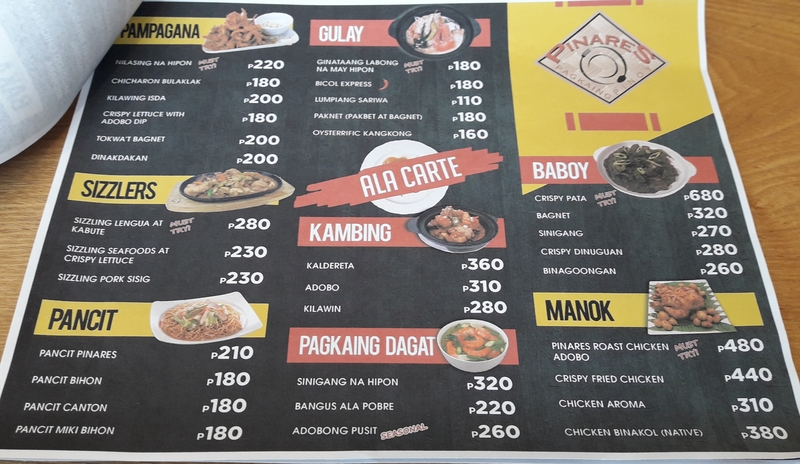 So if you have been craving for some good Korean dish, stop by at 125 Mac Arthur Highway, Nancayasan, Urdaneta, Pangasinan. They are open from 11 AM to 8 PM. Have you ever checked in to a hotel or resort and find out that there is no Wi-Fi signal in your room? Or you have just arrived at the airport and can’t use Uber because your phone ran out of juice. Gadgets make your vacation more enjoyable. Backpackers, like soldiers, need gears to survive or adapt to an unfamiliar place that is missing some of the necessities found in the comfort of home. Those include devices they use as they go about in their daily activities. For shutter bugs and vloggers, they might need to bring a kit version of their studio to save on luggage space. For some who just can’t leave their work behind, they throw in their laptop or tablet as well. Having traveled here and abroad in some occasions staying overnight or several days, here are the list of gadgets that fill my backpack other than the grooming kit. Unfortunately, there are no charging stations at the beach. 1) Quick-charge Power Bank – Do you often get that dreaded low battery status on your phone before the day ends? You even get it quicker when you’re taking pictures of everything that looks cool or when you’re engaging with 100+ social media friends and followers. Guess what? There are no charging stations at the beach or on the bus. This compact power bank can save your day by quickly charging your phone not just once but several times over. I’m not talking about the freebie you got from some sales promo or from work. They will not cut it. Stick with a reliable and proven product such as this one. Less clutter with a multi-USB charger. 2) Multi USB wall charger – Newer devices such as phones, power banks, cameras, etc. use USB chargers. Instead of bringing their own chargers, why not carry just one but with multiple USB ports. These can even charge at a faster speed than what came with the devices and with less clutter. Avoid crowding the charging station with a long USB cable. 3) Long USB fast-charging cable (10ft.) – Most lengths of USB cables that manufacturers include with their devices are sufficient if the power outlet is close to your bedside or don’t mind hugging the nightstand. Some hotel rooms, especially in some countries, have just one and if it happens to be across the room, a long USB cable would come in handy. Also, charging stations at the airport usually gets crowded. Having a long USB cable will allow you to run it to the nearest sitting lounge where you can have more elbow room and privacy. I prefer using a darker color so the grime from the floor will not be visible. You would want a durable cable that will withstand all the pulling and bending. Not all cables are created equal. Some create bottlenecks. But this cable is fast-charging and will complement the charger described above. There is also an iPhone version available if you need one. Yes, they come in different shapes. Do you have the right gadget? 4) Universal power adapter – Different countries have different sizes, shapes and ratings of power outlets. Some have 2 holes, 3 holes, flat holes, round holes, slanted holes, you name it but this universal adapter will let you plug in your USB wall charger just fine. Fortunately, most chargers are rated to run on 100V-240V just like this one making it adaptable to any power source. Just plug it in to this universal adapter and you’re good to go. Not enough power outlet for everyone? 5) Portable Power strip – If you have been in a hotel room on a vacation with your family, you know how hard it is to find an available power outlet for everyone’s gadgets. You can covertly replace theirs with yours and risk ruining the vacation or you can plug in your power strip and you’ll even have a spare spot to share with others. A travel-size one will fit nicely in a backpack and will not slow you down. Bring hours and hours of movie time with a memory stick. 6) Back-to-back USB memory stick – Do you remember getting the “memory full” notification in your phone? This memory stick or flash drive can fix that problem by allowing you to transfer old pictures or videos from your phone or tablet and thereby freeing up much needed space. If you want, you can load it up with your favorite movies that you can watch while waiting for a bus ride. It does not need any adapter so it connects directly to an android phone, tablet or an iPhone . Not every place has a free Wi-Fi. 7) Pocket WI-FI – How would you feel if you’re on a trip and your phone’s data signal is barely making a blip and loading a page is taking forever? And not every place has a free Wi-Fi. That’s when I grab my pocket Wi-Fi and fire it up. This one gets its signal from another provider and most of the time it’s stronger. The pay-as-you-go is perfect for traveling, money-wise, since you only use it when needed and there are no roaming charges. 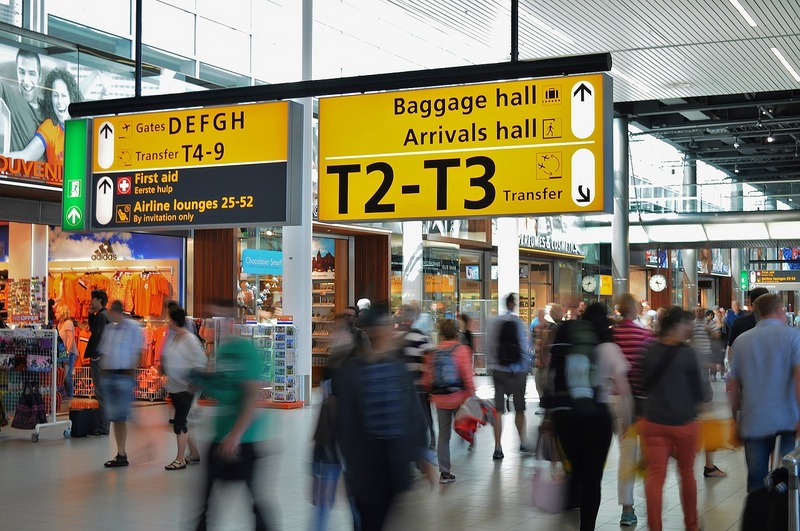 When you travel to another country, you’ll have a backup Wi-Fi to use as soon as your plane has landed. Then, at a later time, load it with a local SIM card of your choice, if you want, to save on money even more and get a stronger signal. You can enjoy your vacation with the same convenience you have at home, well almost, with these gadgets. You can give some of these to your friends and family as a present and they’ll be grateful you did. 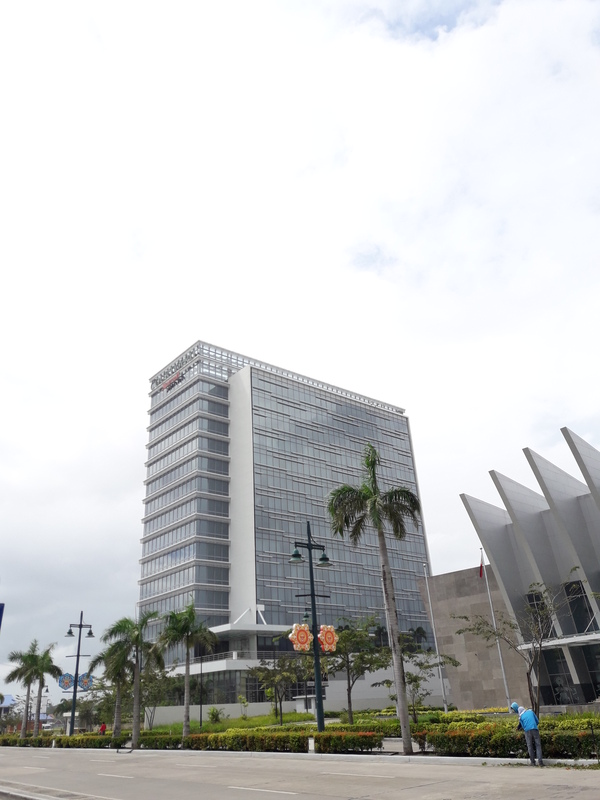 The City of Love, as they call Iloilo City, is about an hour and fifteen minutes flight from Manila. 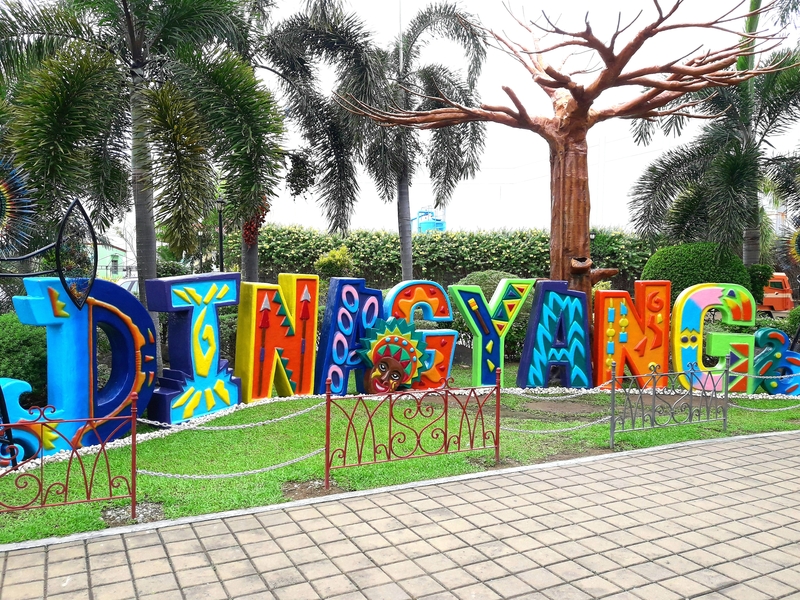 The best time to take a trip to Iloilo is the week before the fourth Sunday of January which is the city’s Dinagyang Festival. It is an event that is similar to the well-known Ati-atihan Festival in Aklan, a neighboring province. 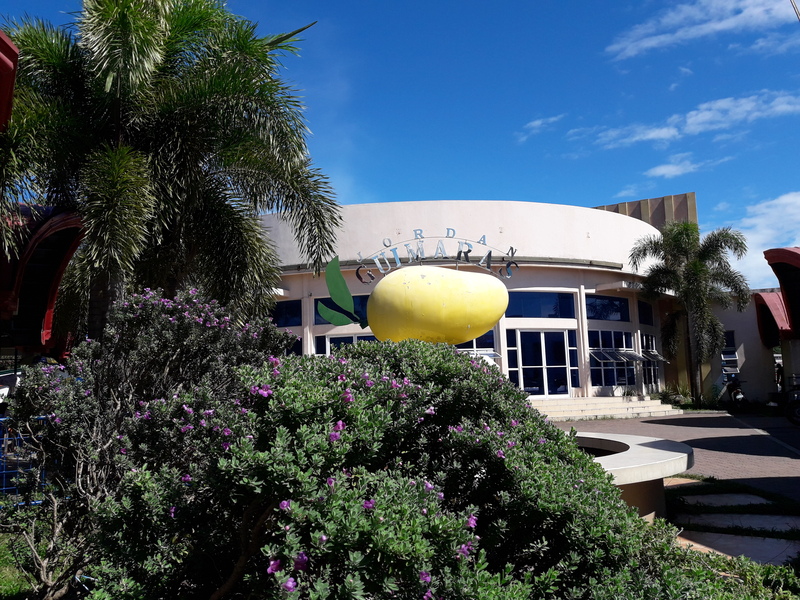 Book your accommodation close to SM City in Mandurriao, Iloilo for convenience specially if you’ll be using public transportation – they have a Grab taxi booth there that can assist in your travel needs. If you’re flying to Iloilo, it is best to reserve your ticket early so you can avail of cheaper price. 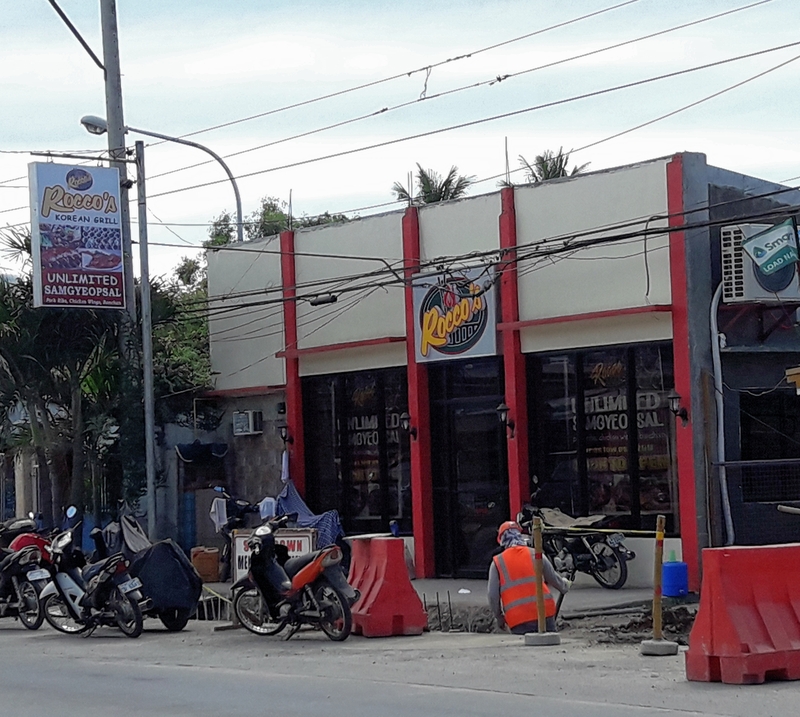 To get there from Urdaneta City, you can take a bus that is headed to Pasay City (via TPLEX will cut travel time to 3.5 hours) from the bus stop infront of CB Mall along the McArthur hi-way. From the bus’ Pasay terminal, grab a taxi (or any of the available app-driven transport) to the domestic airport. Arriving in Iloilo days before the festival will give you the opportunity to visit some of its fascinating places. and vicinity. 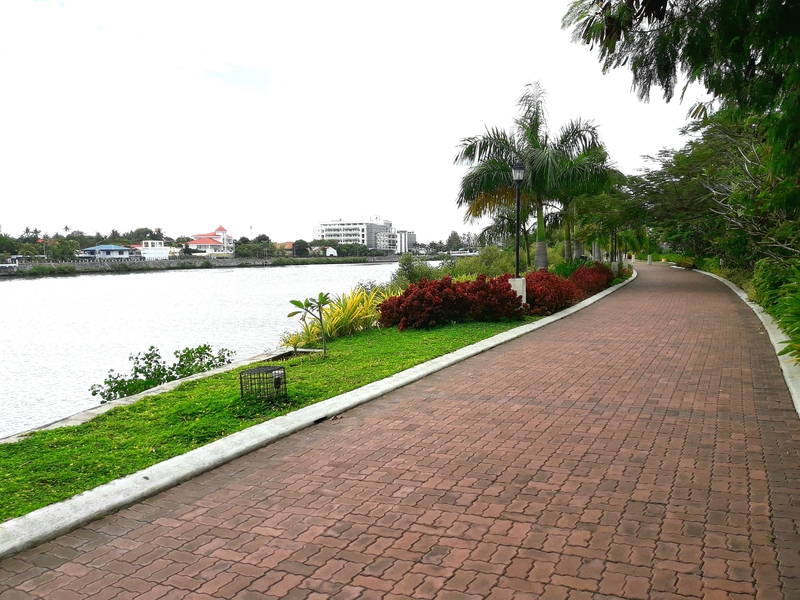 It is the newest section of Iloilo City where it is being developed with the live-work-play concept. You will find new hotels, businesses and dining areas. or rent a bike and tour Esplanade 1 & 2 and the Festive Walk Parade. When exhaustion hits you, there are coffee and snack shops along the route to recharge one’s energy like the Riverside Boardwalk. 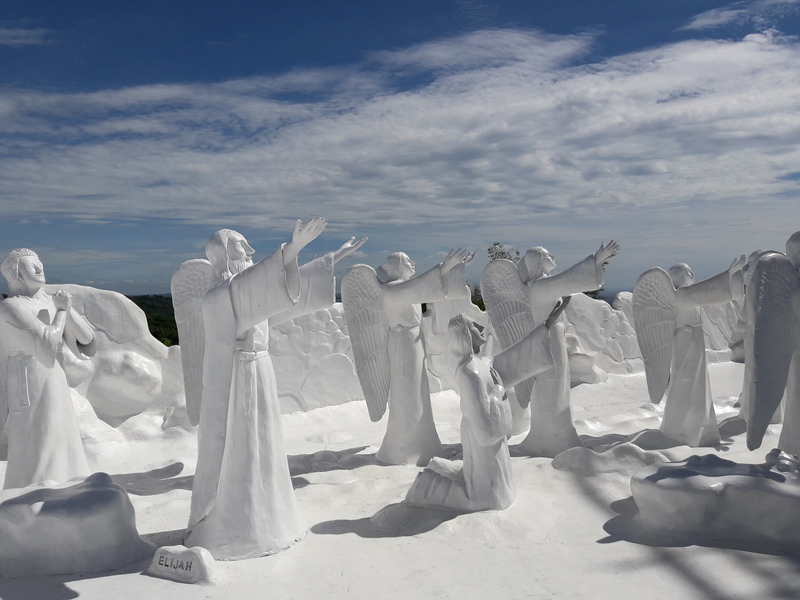 Travel Tips Iloilo Garinfarm heavenly scene on top of a hill. 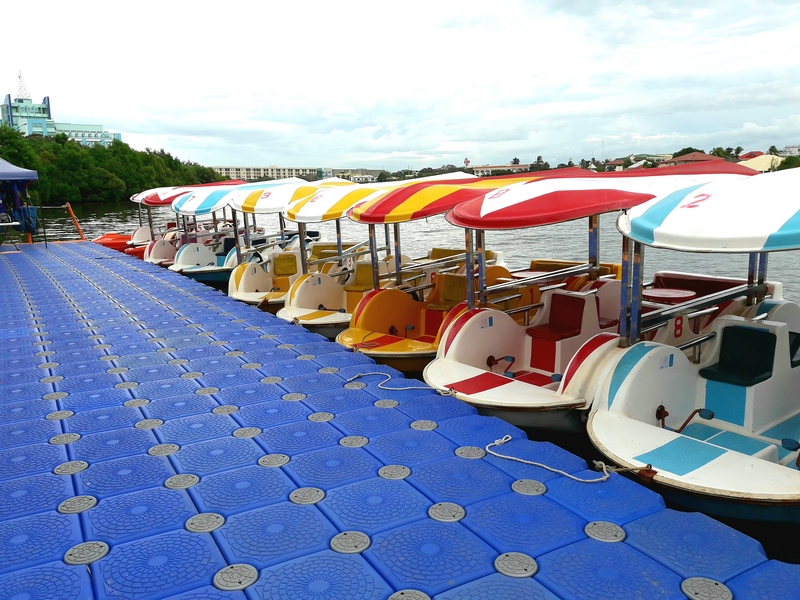 they also have several activities that young and old can enjoy such as a zip line across a lake, horse back riding, water rides, etc. You’ll also get the chance to feed the doves, fish and the sheeps during their feeding time at around twelve noon. 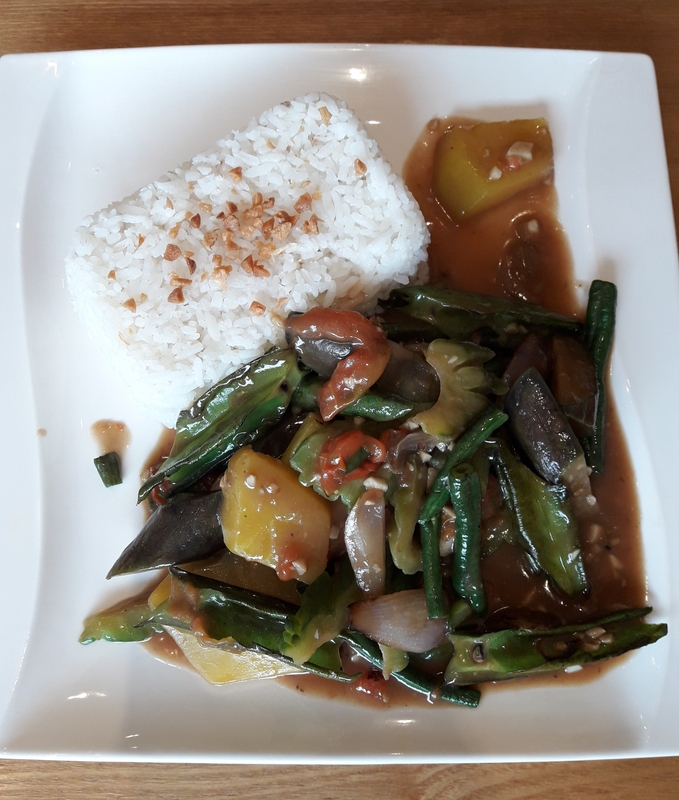 Travel Tips Iloilo Guimaras Raymen’s Restaurant. which is very convenient since the beach is far from from the town. Check also with the front desk if you want to go island-hopping and enjoy nature at its best. 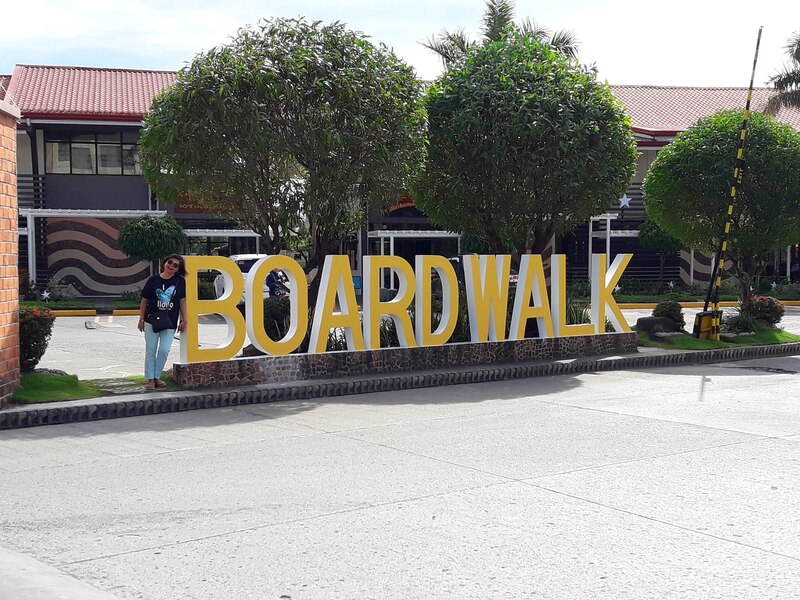 Travel Tips Iloilo Bearland Paradise Resort in Tigbauan. 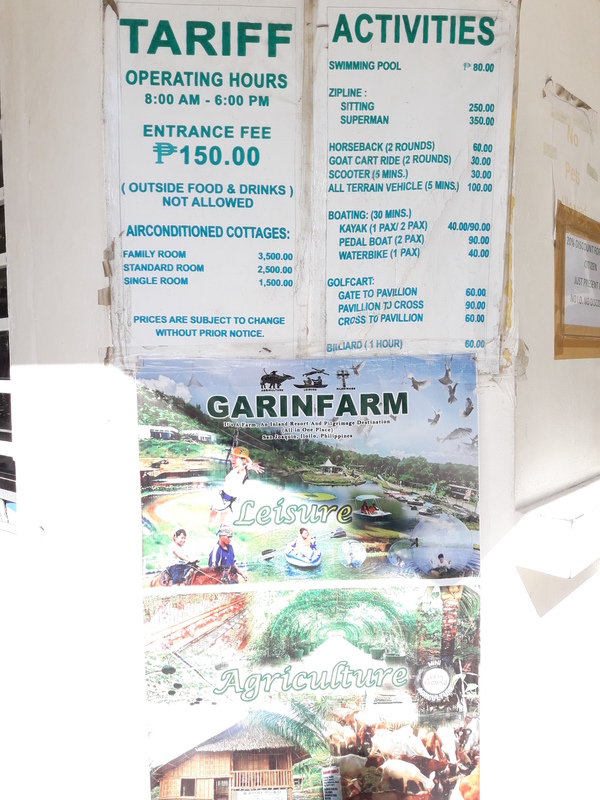 Travel Tips Iloilo Bearland Paradise Resort fees. 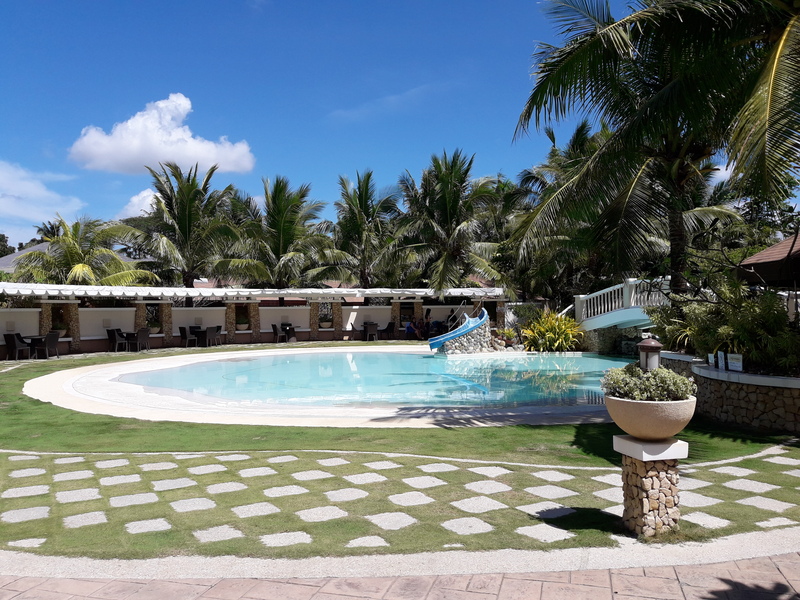 If you just want to just soak in the water without the waves or sand getting in your flip-flops or shoes, you will love this inland resort in Tigbauan. 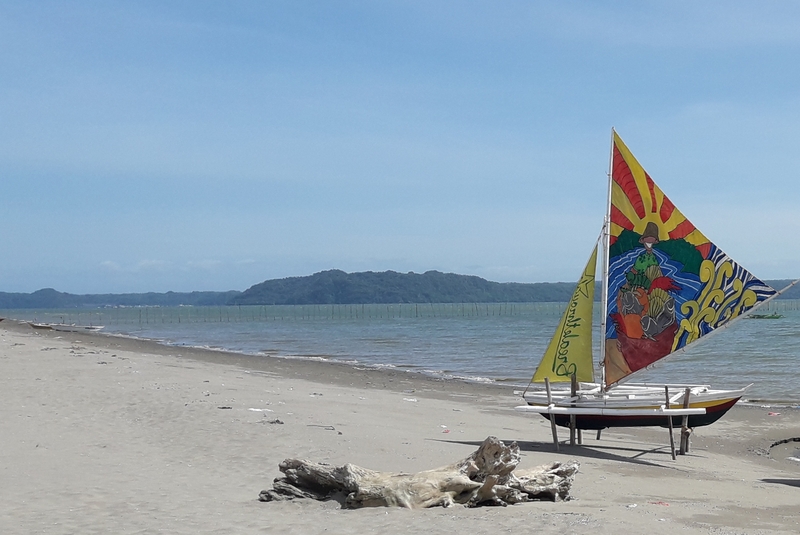 It’s about a 30-minute travel time from Iloilo city. From the same Mohon terminal, take a jeepney ride to Tigbauan then a tricycle ride to the resort. They have several size pools overlooking the beach where you can wade and bask in the sun. 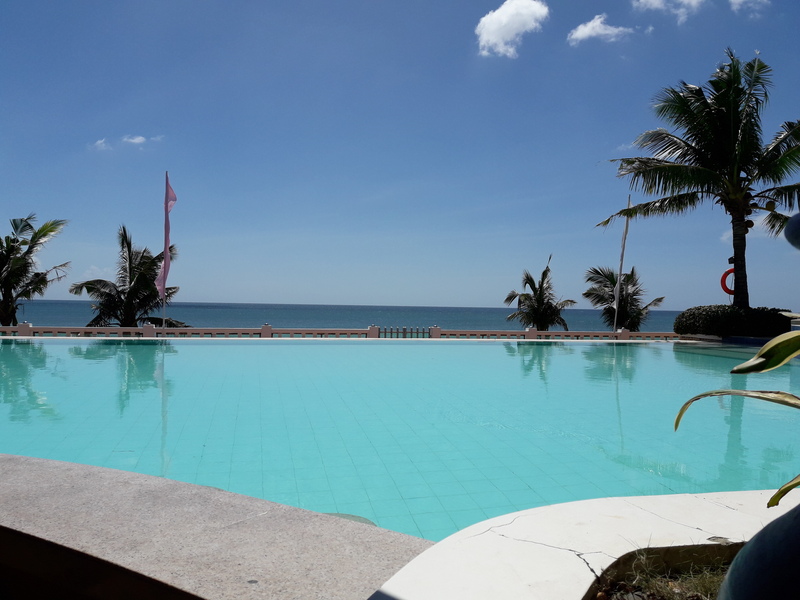 Travel Tips Iloilo Bearland Paradise Resort infinity pool. 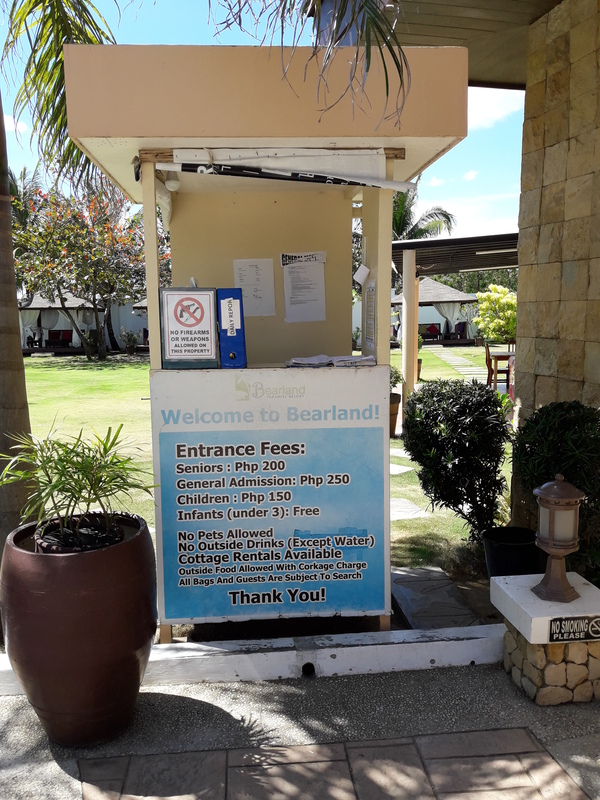 Travel Tips Iloilo Bearland Paradise Resort pool. Go to bearlandparadise.com to reserve an accommodation if you plan on staying overnight. 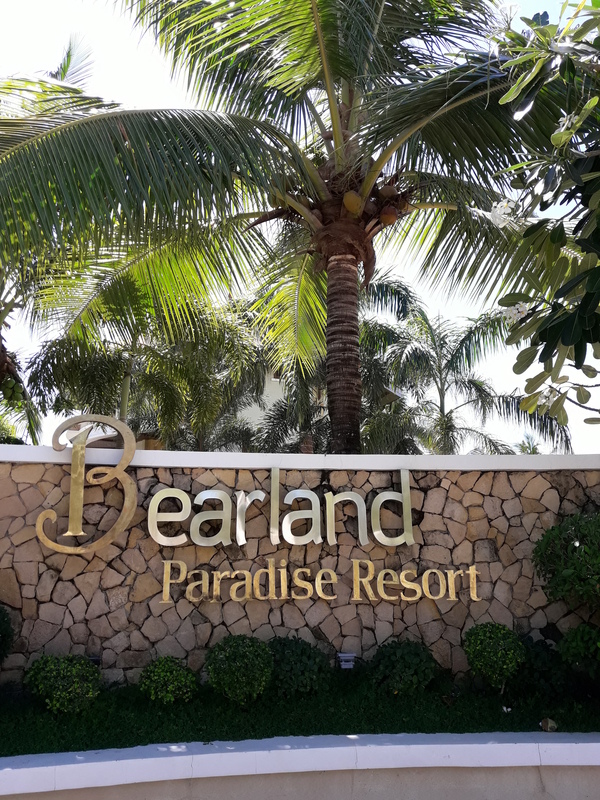 Travel Tips Iloilo Bearland Paradise Resort accommodations. If you visit around January and February, they’ll have fewer guests and youll have a more enjoyable stay. Download the petition form and the instructions/checklist form from the Bureau of Immigration website (http://www.immigration.gov.ph/services/citizenship-retention-and-aquisition/application-for-retention-re-acquisition-of-phil-citizenship). Obtain all the required photos and documents including an Affidavit of One and the Same Person if your current name is different from what’s in your birth certificate. A common example is a married woman who changed her last name to her husband’s. Fill out the forms except the Oath of Allegiance. 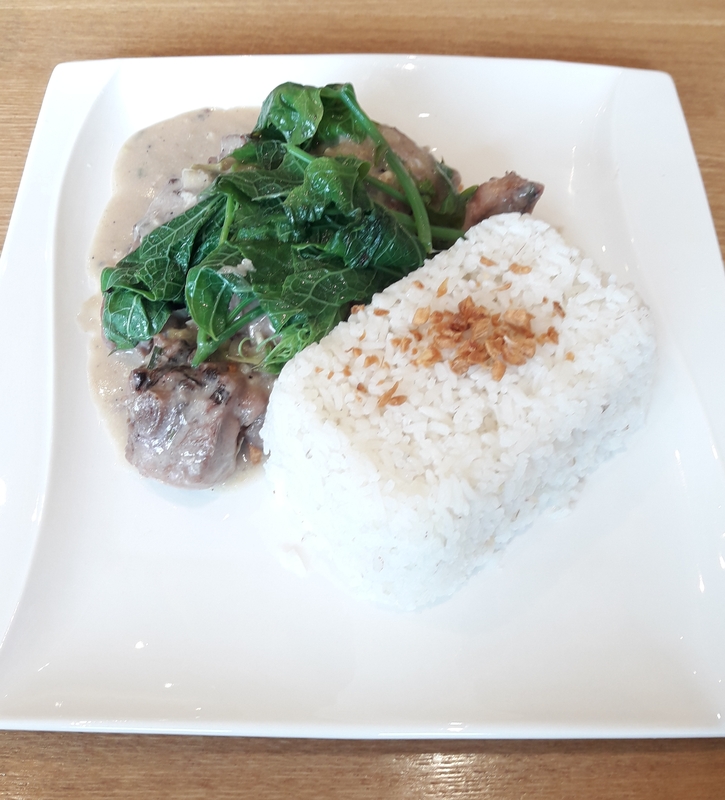 This will be prepared for you at the Dual Citizenship office before the oath-taking. Place all the documents (in the order of the checklist) in a long folder and attach them with a paper fastener. If you forget to do this they’ll ask you to buy the supplies from the ladies by the the main door. They also have copying service inside and attorneys outside to handle your last minute affidavit needs. To save time, check your official documents for any discrepancies and correct them before turning them in or you’ll get a letter from them after two months of your petition asking you to submit an affidavit. 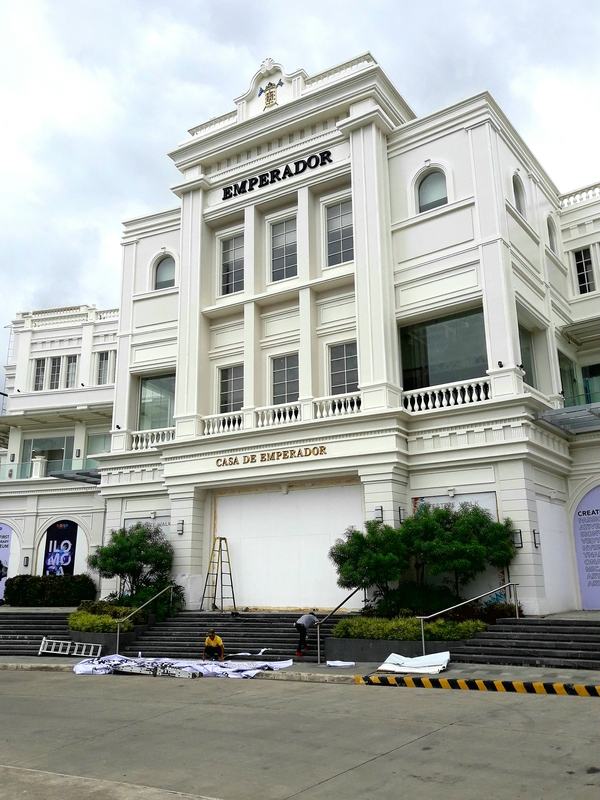 Plan your trip to the Bureau of Immigration Head Office, Magallanes Dr, Intramuros, Manila, Metro Manila, Philippines. This is the only place they do it when you’re in the Philippines. 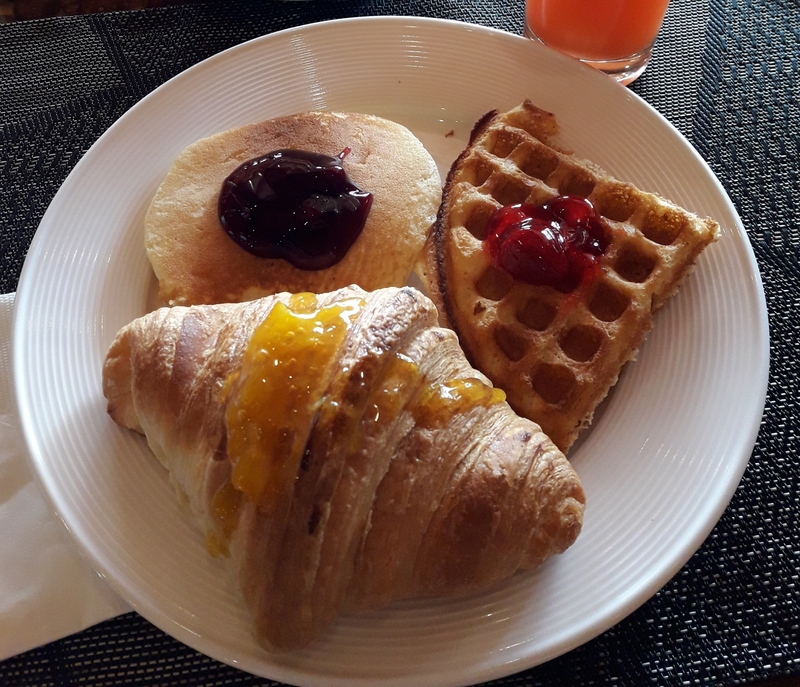 If staying overnight, I recommend the Bayleaf Hotel (https://www.thebayleaf.com.ph/). 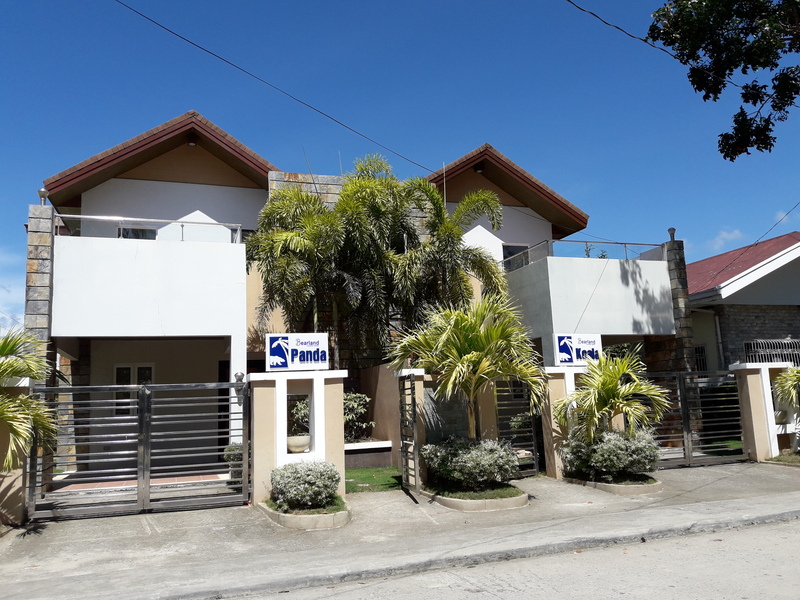 It is nice, fairly priced and very close to the BOI. Usually, Mondays are always the busiest so try other days. Before heading there, check to make sure that your scheduled date does not fall on a holiday. They usually have holidays in Manila only and sometimes declared on a short notice. Once there, parking is along the road on the BOI side. There are parking attendants that will give you tickets which you’ll pay P20 for the1st 3 hours then P15 for every hour thereafter for a car. 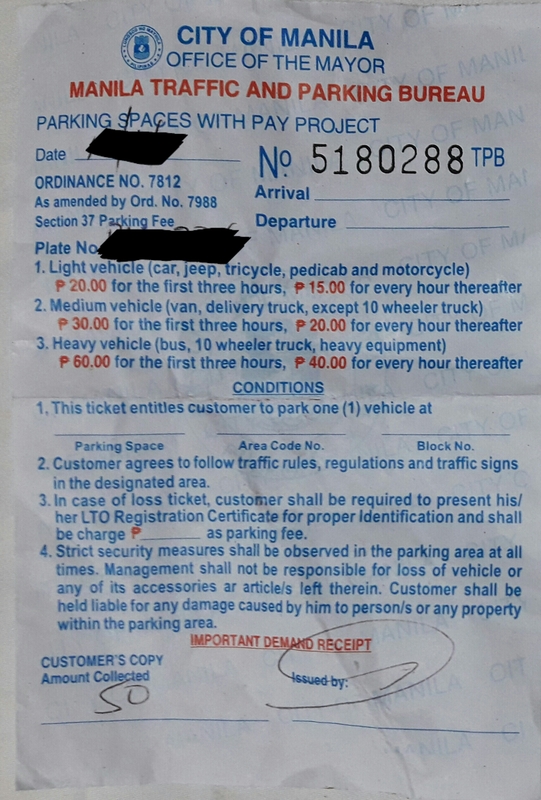 Parking ticket at BOI Main Office. 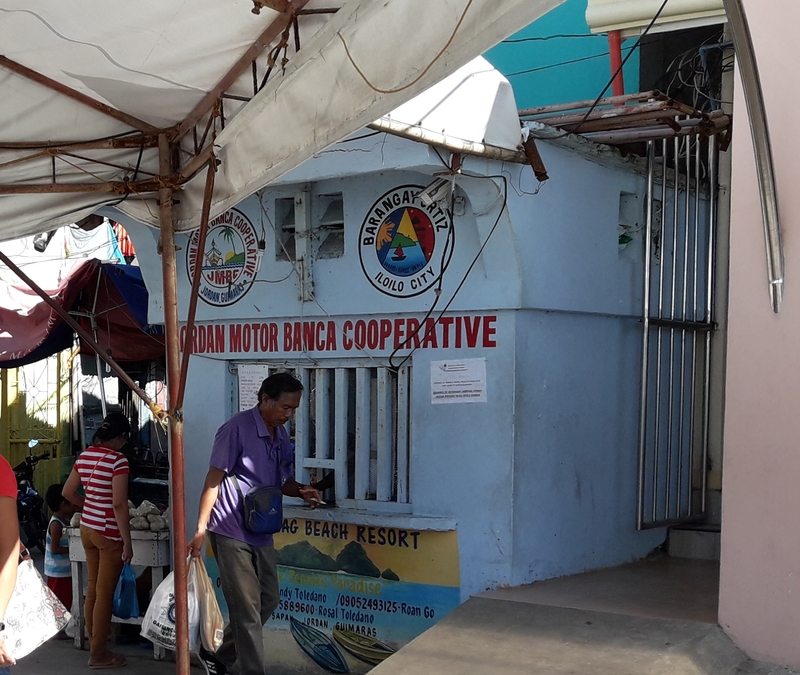 At the entrance, you will be required to leave your identification card with the guard. Head over to the Public Information and Assistance Unit (PIAU) right across the main entrance and turn in your petition. It will be forwarded to the attorneys in a room behind the counter. Wait for your name to be called. The attorney in charge of your petition will review your documents with you to make sure everything is in order. 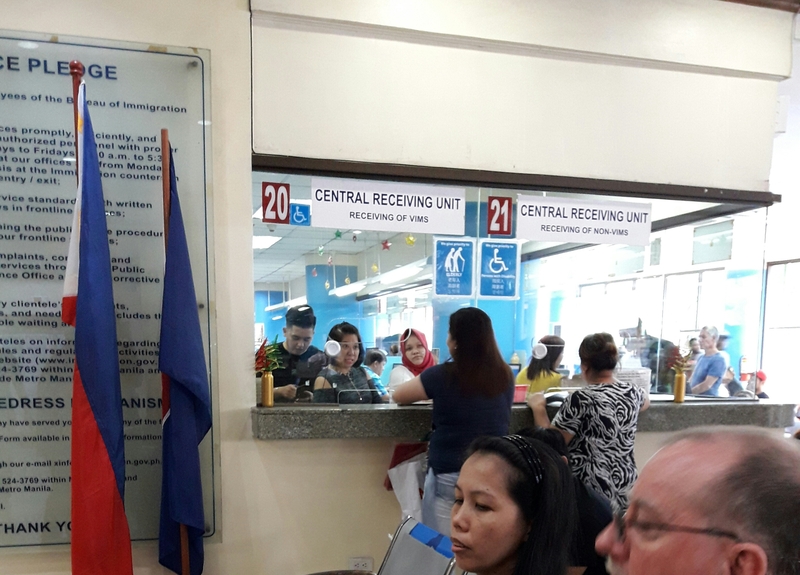 After passing the review, take your documents to the Alien Registration Division (window 18) then Central Receiving Unit (window 19) and finally Central Receiving Unit (window 20) for payment of application. Go up to the 4th floor to the Dual Citizenship Office (room 401) for the oath-taking preparation. You’ll have to make one last payment of P2,510 at the window of room 404. All the applicants will then be called to make the oath before a legal officer. The whole process should be finished in a day if you have all the documents needed. The Certificate of Re-acquisition/Retention of Philippine Citizenship will be available for pick up only. The waiting time is 2 to 3 months after the application date. Call (02) 301-0756 or (02) 485-2400 locals 458 or 459 to inquire about the status of your petition. 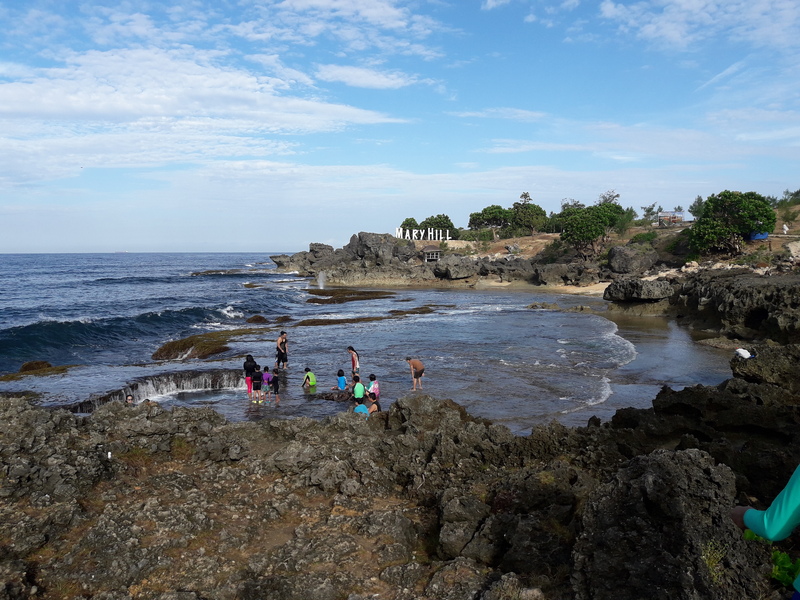 The Blue Lagoon of Agno, Pangasinan (aka Masangret Cove). Rocky trails from Cabo Beach to the Death Pool. heading northward on rocky trails past the famous Death Pool and just over Mary Hill. Approaching Death Pool with Mary Hill in the distance. 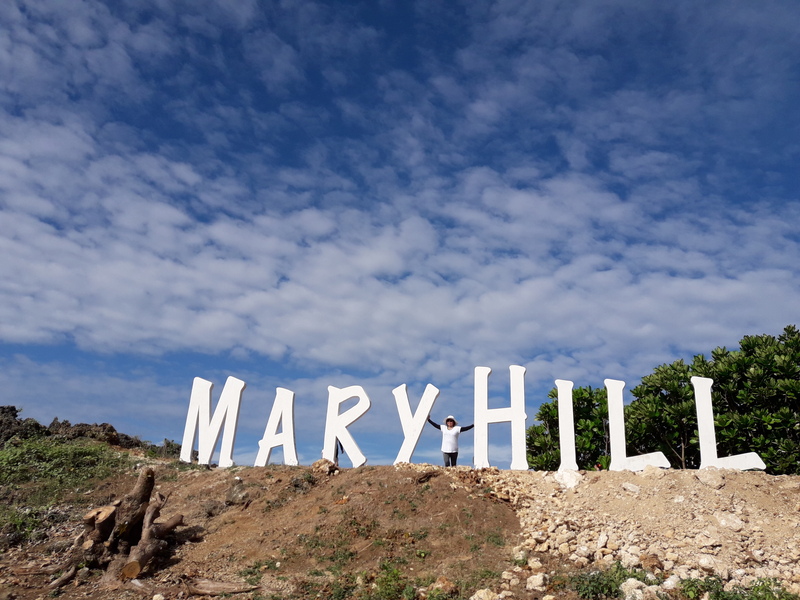 Mary Hill (a youth camp) is between the Death Pool and Masangret Cove in Pangasinan. Its official name is Masangret Cove but I’d like to call it the little Blue Lagoon after the movie with the same title because of its resemblance to the pristine body of water used in the film although in a smaller scale. For those who prefer a tranquil and kids-friendly swimming, this is a perfect spot to go. 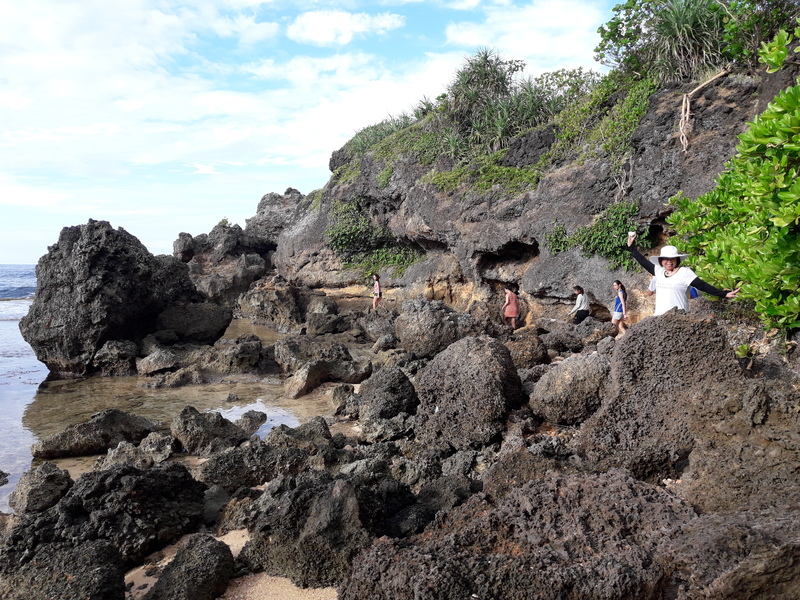 There are no waves to watch out for not like the neighboring Cabongaoan beach or the Death Pool. Adventurous dudes who prefer excitement and adrenaline rush should try the Death Pool. It has a diameter and depth of about 20 feet. The level of the water rapidly goes up and down as the waves rush in and out sucking the water from the hole like a flushing giant toilet bowl. There is a smaller version nearby called the Date Pool. It is more like for dipping ones feet while sitted around its edge. You can also ask an unsuspecting friend to peek into a hole that randomly burps out streams of water. These are found on the other side of Mary Hill. 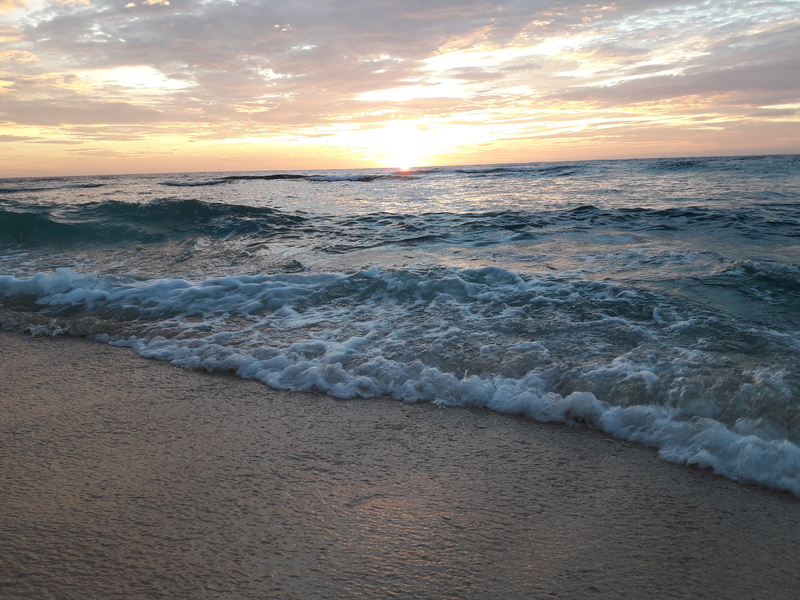 Couples or individuals who just want to stroll on a white sand, collect shells or feel romantic watching the sunset, there’s the Cabo (short for Cabongaoan) Beach nearby. Cabo Beach in front of the Allen Beach Resort (https://m.facebook.com/aencabowhitesandbeach/photos/?ref=page_internal&mt_nav=1). 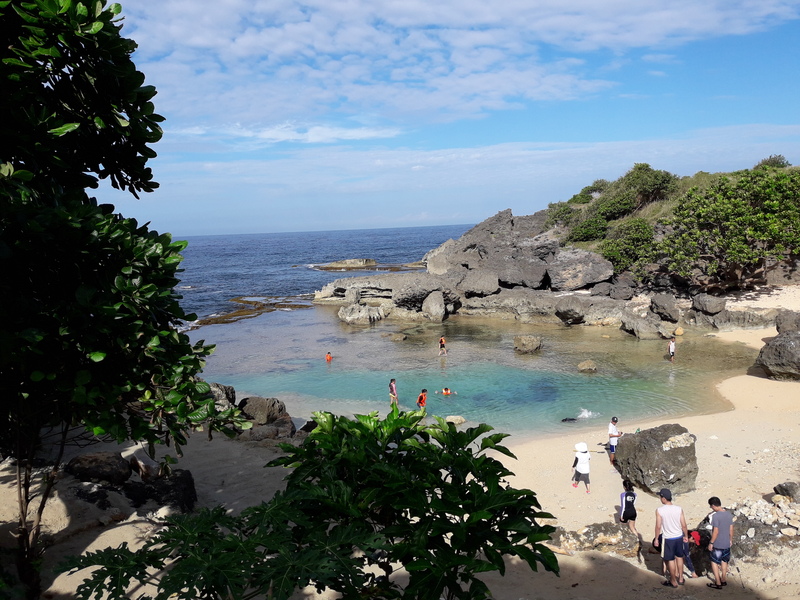 Whatever age group you belong to and if you’re looking for a quiet beach getaway that is not yet crowded and commercialized, Cabongaoan Beach is the place to be. 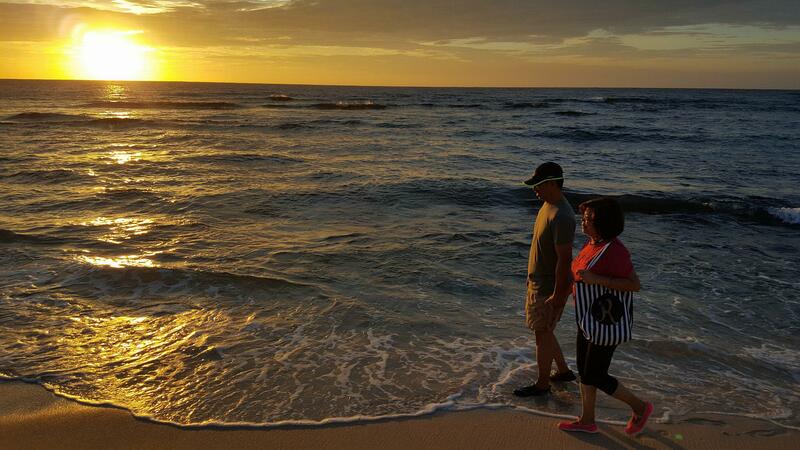 Sunset stroll along Cabo Beach. Masangret Cove – our Blue Lagoon.